If you’ve ever wondered how a discarded plastic water bottle can wind up as someone’s football jersey, this video short by Nike should shed some light. The sportswear giant walks us through the manufacture of the 2012 national team kits, from the sorting, crushing, and melting of the erstwhile thirst-quenchers to the addition of its trademark “swoosh” on the finished product. Made with at least 96 percent recycled polyester, the kits are Nike’s “most environmentally friendly ever,” with each jersey-short combo comprising an average of 13 plastic bottles. The recycling process not only saves on raw materials, according to the company, but it also reduces energy consumption by roughly 30 percent compared to manufacturing virgin polyester. Need another reason to get edumacated? Basketball star LeBron James and Manchester United striker Javier Hernand make cameos. If you've ever wondered how a discarded plastic water bottle can wind up as someone's football jersey, this video short by Nike should shed some light. The sportswear giant walks us through the manufacture of the 2012 national team kits, from the sorting, crushing, and melting of the erstwhile thirst-quenchers to the addition of its trademark "swoosh" on the finished product. Made with at least 96 percent recycled polyester, the kits are Nike's "most environmentally friendly ever," with each jersey-short combo comprising an average of 13 plastic bottles. The recycling process not only saves on raw materials, according to the company, but it also reduces energy consumption by roughly 30 percent compared to manufacturing virgin polyester. Need another reason to get edumacated? 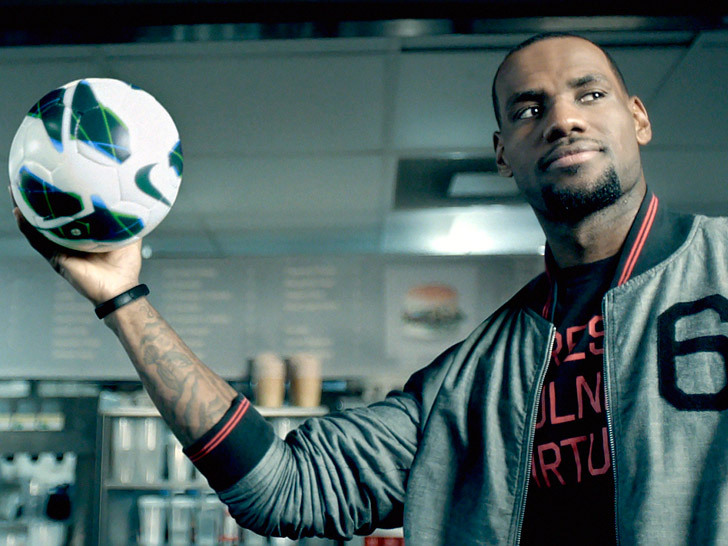 Basketball star LeBron James and Manchester United striker Javier Hernand make cameos.